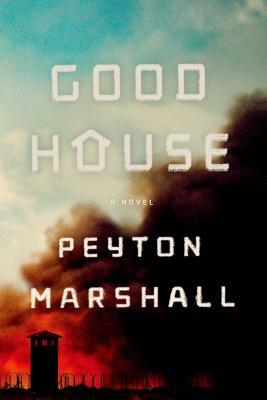 With soaring literary prose and the tense pacing of a thriller, the first-time novelist Peyton Marshall imagines a grim and startling future. At the end of the twenty-first century—in a transformed America—the sons of convicted felons are tested for a set of genetic markers. Boys who test positive become compulsory wards of the state—removed from their homes and raised on "Goodhouse" campuses, where they learn to reform their darkest thoughts and impulses. Goodhouse is a savage place—part prison, part boarding school—and now a radical religious group, the Holy Redeemer's Church of Purity, is intent on destroying each campus and purifying every child with fire. We see all this through the eyes of James, a transfer student who watched as the radicals set fire to his old Goodhouse and killed nearly everyone he'd ever known. In addition to adjusting to a new campus with new rules, James now has to contend with Bethany, a brilliant, medically fragile girl who wants to save him, and with her father, the school's sinister director of medical studies. Soon, however, James realizes that the biggest threat might already be there, inside the fortified walls of Goodhouse itself. Partly based on the true story of the nineteenth-century Preston School of Industry, Goodhouse explores questions of identity and free will—and what it means to test the limits of human endurance. Peyton Marshall is a graduate of the Iowa Writers' Workshop. Her work has appeared in The New York Times, Tin House, A Public Space, Blackbird, Etiqueta Negra, FiveChapters, and Best New American Voices 2004. She lives in Portland, Oregon. Goodhouse is her first novel.